Sometimes cravings for takeout foods can conquer our fortitude and better judgment and we succumb to our appetite. Sweet and sour chicken is a very popular Chinese American entrée that is often loaded with calories and MSG making it very pleasing to the taste buds. Despite its palatability it does not provide many nutrients in the form of vitamins, minerals, fiber, and phytochemicals. By altering a few of the ingredients and the cooking method this meal can be made over into a nutrient dense dish. Turn up the heat with either hot pepper flakes or siracha. Sesame oil gives this dish it a traditional Chinese flavor but substituting it for olive oil is acceptable. Add bell peppers and other vegetables to increase the fiber and nutrients. 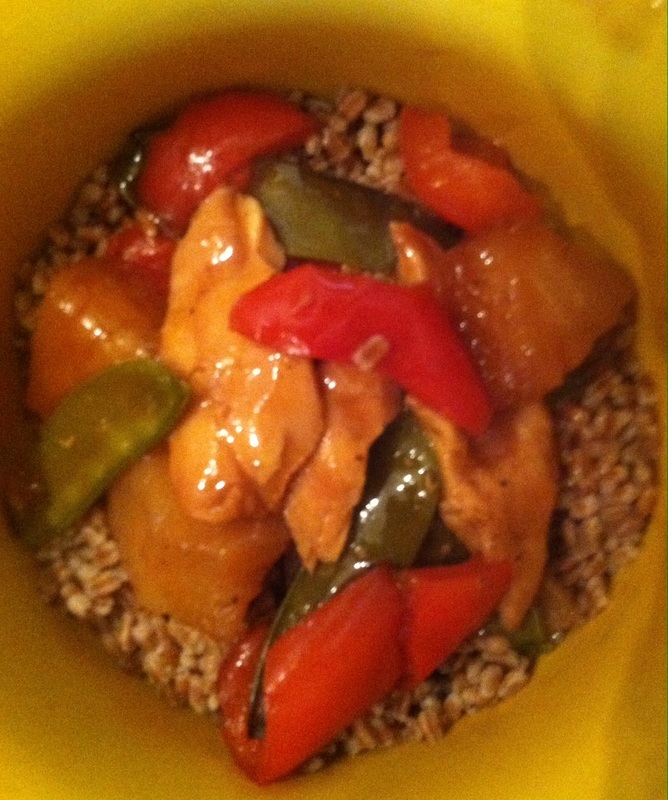 If you would like a starch, cook brown rice or another whole grain to serve on the side. This dish does require quite a few ingredients but many are inexpensive and common pantry items. Having healthy recipes that can satisfy hankerings for unhealthy food is worth investing the effort because it allows for you to still enjoy your meals while increasing healthy food intake. Directions: To the blender add the soy sauce, pineapple juice, sesame oil, garlic corn starch, ginger, honey, siracha, and apple cider vinegar. Puree together until a homogeneous mixture is reached. Pour the sauce into a sauce pan. Season both sides of the chicken with salt and pepper and cut into 1 inch cubes. Place into the crockpot. Wash and cut remaining produce and add it to the slow cooker. Stir until all ingredients have been covered with the sauce. Season with salt and pepper before covering the slow cooker with the lid and setting it on low for at least 6 hours.